I always had an ambition to work in sciences growing up, was drawn to those subjects, and excelled in them. This ambition found a home when I had the opportunity to work as a high school co-op student at my local vet clinic in Hamilton. I wasn’t sure at the time what a technicians “role” was but learned quickly from some wonderful and caring vets and techs, that was what I wanted to be. After graduating from Seneca college, I directed my interests into the fast paced world of emergency medicine for 8 years. In that time I expanded my interests in veterinary medicine and developed a deep compassion for people and their pets. ​I also developed a deep bond and love towards my own pets as I began to adopt some of my first ones. Currently my 2 dogs, Maple and Joplin,and my cat, Lola, supply me and my husband with never ending laughs, challenges with behaviour, brain aging, and more, and I treasure each and every experience. Since joining the DVC team in 2007, I am always changing and evolving my “role” as a technician focusing on building lasting and trusting relationships with pet families. I am honoured to be working in my small town and in an environment with such caring and compassionate team members! Dunnville and the surrounding community has always been home to me and now working as a technician in my home town holds a special spot in my heart. My passion for animals started with raising family pets and evolved when I was old enough to help my neighbours with their pets through walking their dogs and pet sitting when needed. Those experiences and more helped me get accepted into the veterinary technician program at Ridgetown college where I graduated and began working in Dunnville in 2006. With every client and patient I meet, I strive to provide complete and compassionate care, treating them no different then how I would want to be treated. My goal is to be a part of your pets treatment plan, so as clients, you can leave the clinic confident and happy with your pets’ care.At home my boyfriend, Dave, stepson, Landyn and newborn son, Jack, keep me and my boxer Bryn on our toes! I graduated from Ridgetown college in 2011. I love to work with all animals – large and small. 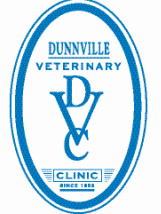 I have joined the Dunnville team May 2015, after working in a small animal clinic. I have always loved the atmosphere here, and all of the different animals that come in. People here are great to work with, and everyone’s love for animals really shines through. In my spare time, I love to spend time with my husband Ben, daughter, Talia, 2 dogs, Lexie and Scamp, and riding my horses, Radar and Holly. Animals are my “happy place”. Growing up my family always had pets including dogs, cats, horses, reptiles, birds, and hamsters. Being an only child, these were more then just pets to me, they were just like siblings. I couldn’t even tell you my fondest memory as there are just too many! Becoming a technician seemed like a natural choice for me to extend my joy of caring for pets beyond my family and I was excited when I received my acceptance letter into Ridgetown College. I started helping pets in my community through an externship at the clinic and right after graduation in 2015, I began my career. ​ My goal with every patient I meet is to help them have a stress free and happy visit and to leave the clinic in the most comfortable manor to live their best quality of life. My current family consists of myself, my boyfriend, and our 5 cats, pet snake and bearded dragon. In February of 2019 we expanded our family with a new mastiff puppy, Athena! I like to live by never regretting anything, even if it’s a bad choice, there is always a chance to learn and grow. My fondest memories of childhood always involved an animal of one kind or another. I remember visiting my aunt’s dairy farm and enjoying interacting with all the different critters! As I got older I inherited my mom’s love of working with dogs and participated with her in flyball tournaments. When I learned about veterinary technology and the opportunity I would have to work every day with animals, learn about them, and care for them, my mind was made up that this was the career for me. I graduated in 2017 and since then have dedicated my time learning and developing new skills that would allow me to make sure every patient and client I assist with are comfortable, and are receiving the best care we can give. A few years ago I was super lucky to bond with a very special patient from Ridgetown College who I got to adopt. Her name is Dyxie and together with my boyfriend, Hadyn, we are a family. I can be contacted at: mpeacock@dunnvillevetclinic.com.